| Four Cambodian Startups Have Qualified for Mekong Innovative Startup Tourism (MIST) Startup Accelerator Program! 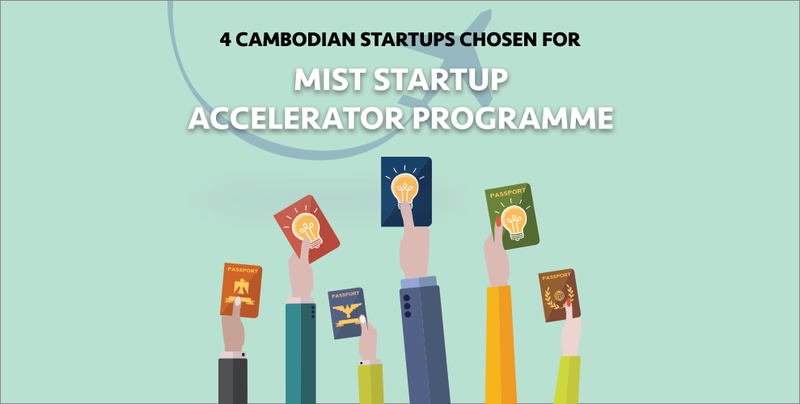 Four Cambodian Startups Have Qualified for Mekong Innovative Startup Tourism (MIST) Startup Accelerator Program! Another wondrous news has arrived at the Kingdom’s doorsteps this April, and in standard Geeks in Cambodia fashion, we are beyond excited to share it with you! The Mekong Business Initiative (MBI) and the Mekong Tourism Coordinating Office (MTCO) have announced that four innovative, Cambodian tourism startups have qualified for their Mekong Innovative Startup Tourism (MIST) Startup Accelerator program. “MIST promotes sustainable tourism, giving innovative startups the potential to transform travel in one of the most dynamic regions on earth,” said Jens Threanhart, executive director of MTCO. A joint project between MBI and MTCO, the MIST Startup Accelerator Program is exactly as Ms Threanhart puts it – the leading tourism accelerator for Asia’s top growth markets that provides startups with everything they need to launch successfully, achieve profitability, create jobs and impact communities in the Greater Mekong region. Big promises, but the programme definitely upholds it with what they offer to qualifying participants: grants up to $10,000, exposure and connections to local stakeholders and ecosystems, individualised coaching and chances to network with investors and global accelerator programs. The wide scope of benefits this programme offers to its potential participants makes qualifying spots a highly prized and sought after position, and more than 250 travel tech and traditional tourism startups have applied to the MIST programme. Applicants were screened by US-based The Travel Startups Incubator based on their potential for investment and the quality of their business plans. On top of that, MBI experts also performed additional due diligence and considered the startup’s sustainability and other socio-economic criteria. A strict screening process no doubt, which makes us ever more proud that 4 Cambodian startups have been picked amongst these 250 applicants to qualify for this prestigious programme! An app that connects travelers and bus operators in real time. It helps bus companies fill their seats and travelers move around the region cost effectively. An online bus booking service that aggregates bus, ferry and private taxi bookings around Cambodia and Laos into one platform, creating an even playing field for over 40 operators. An app that offers comprehensive in-country guidance on local sights and activities, including history, opening times, available tour guides, possible tour packages and user reviews. Connects tour providers on an integrated document manager, text messenger, rating system and digital invoicing platform to facilitate cross-border tourism collaboration across the region. Dominic Mellor, head of the MBI, expressed, “We’re proud of this batch of startups. They are fueling the right kind of tourism growth that positively impacts the tourism experience and local communities”. No truer words have been said, and Geeks in Cambodia is just as proud of these 4 startups that will advance to the MIST Startup Accelerator bootcamp from May 5 to 7 in Siem Reap alongside 17 innovative tourism startups from Lao PDR, Myanmar and Vietnam. Market experts including Deputy Director of TMG, Cong Nguyen, Investment Director of Gobi Ventures, Victor Chua, and founder of Triip.me, Hai Ho will be mentoring startups at this bootcamp. Approximately, half of these bootcamp participants will be selected by mentors to advance to an investor showcase at the Mekong Tourism Forum in Luang Prabang on June 6, 2017. There, startups will present their business plans to the media, investors, and a judging panel of experts. From this pitching, four will emerge top and receive innovative grants of $7,000 to $10,000 USD. Geeks in Cambodia will definitely be rooting for these 4 Cambodian startups to make it all the way to the peak, and would like to wish them all the best for the bootcamp! If you would like to show your support too, why not swing by their social media pages to drop an encouraging word or two as well?